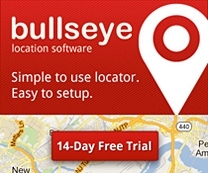 Enhanced Location Upload in Bullseye! Bullseye has a great time-saving option for companies with a basic data structure. Now companies can keep their own column headers in their .csv file and map them to our fields. This significantly cuts down the time spent on formatting store locator data when it is uploaded, because there is less data manipulation than previously required.